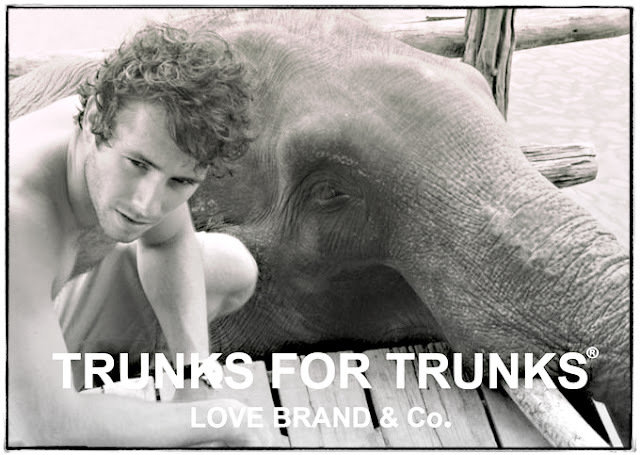 Some readers may remembered a while back in June I wrote a post about LOVE BRAND & Co. by Oliver Tomalin created a line of men's swim trunks called TRUNKS for TRUNKS. 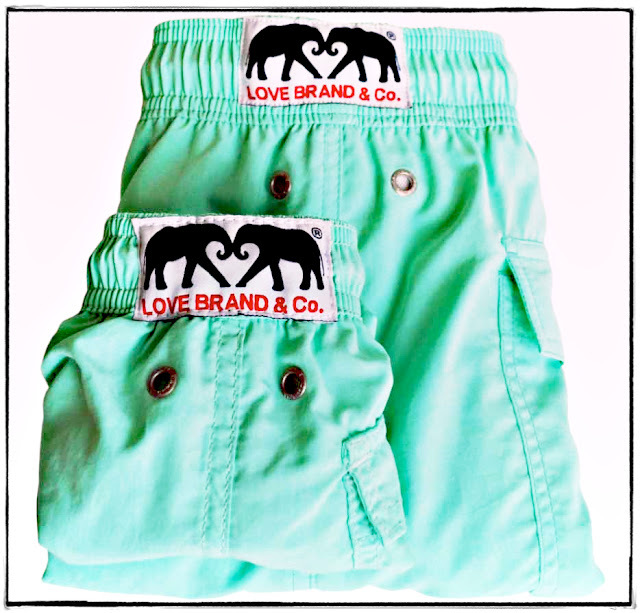 This line was specifically sold to raise money for The Elephant Family organization to rescue the endangered Asian Elephants. You can read more about it from the post here. 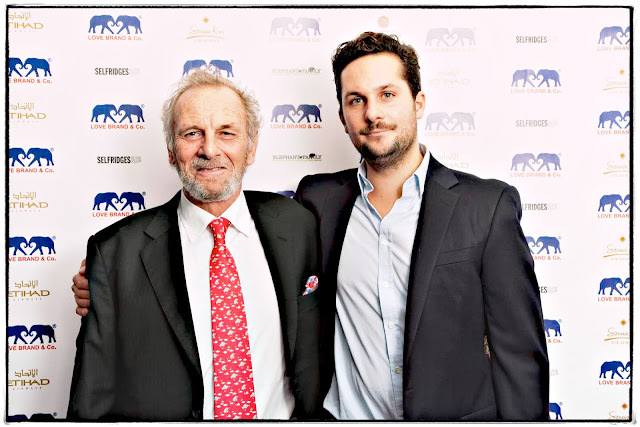 Last Sunday, the founder of The Elephant Family organization Mark Shand, the brother of Duchess of Cornwall (Brother-in-Law to Prince Charles) decided to host the first Serpentine swim race with LOVE BRAND & Co. and friends to celebrate their partnership as well as the wonderful cause they are doing for our beloved elephants. Certainly our summer had just passed and at this time is not exactly the "swimming season". However, the group of 32 men in teams wearing the symbolic Elephant green trunks bravely raced in the grassy banks of the Serpentine lake. The goal was to promote awareness of the cause as well as the organization. The winner of the race was the Cowell Group Team, which received a trophy handed personally by Mark Shand. 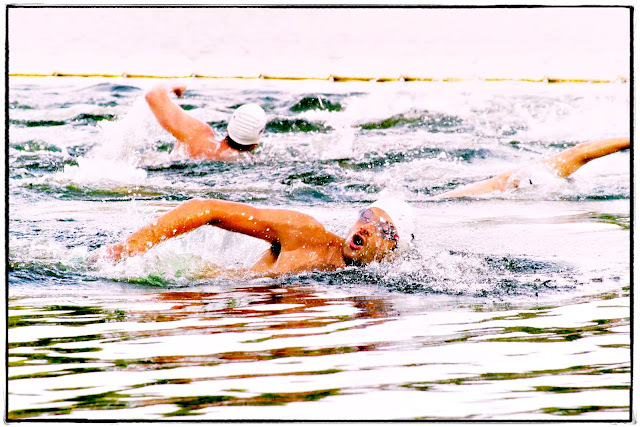 Shand's Serpentine swim race turned out to be a success so talks were in the air to make this an annual event. 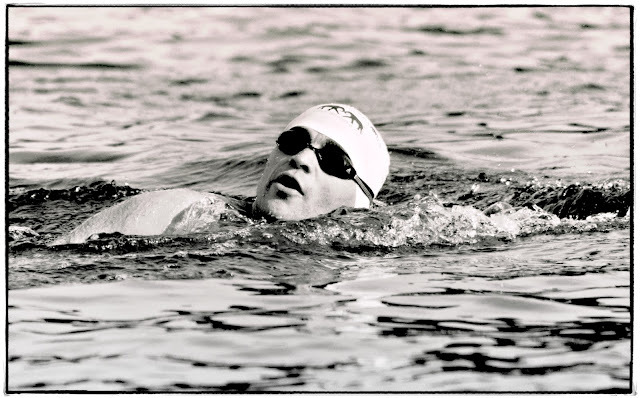 Special thanks to José Berrocoso for the photos. Binzento Vincente was also invited to another charity cause. 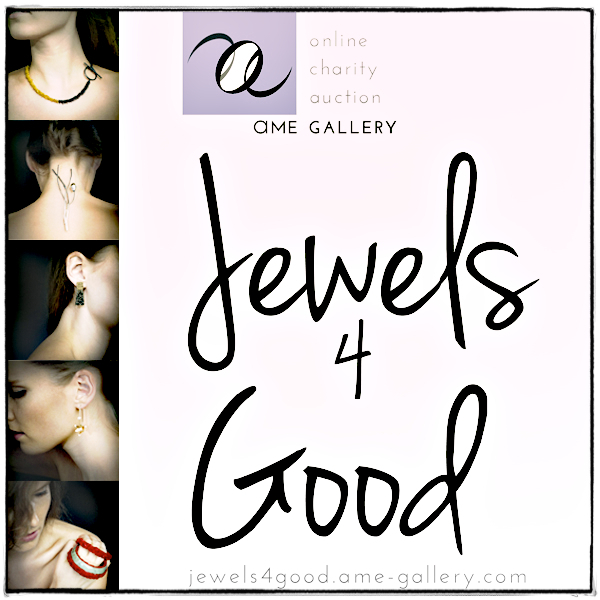 This one hits closer to home; It's the AME Gallery Jewels 4 Good designer jewelry online auctioning event - more info on previous post here. The curator of the gallery, Anna Cheng is highly devoted to giving back to her community. Five international jewelry designers will donate their one of a kind high quality work up for auction. The proceeds will go towards five Hong Kong charities of designers' choices. The online auction was closed mid-September, but the gallery hosted a closing gala party where they announced and presented the winning bidders. There were alot more people attended the closing gala than the preview party in August. The beginning of the event was mostly mingling time and presentations by charities of interest. Three of the five pieces of jewelry were successfully auctioned off. While two of them (the brooch and flower earrings) hadn't find its owners, they were still donated to its corresponding charities, and will be auction by the charities in the future. 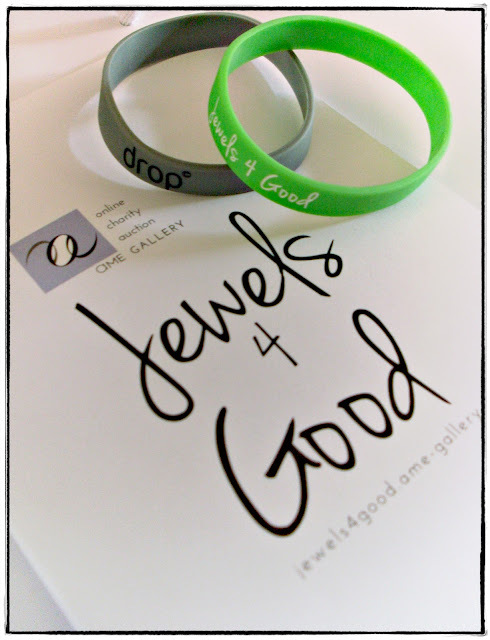 At the end, there was an after party at DROP lounge - guests were invited to donate at free will to the five charities of Jewels 4 Good. Guests also received souvenir bracelets indicated the specific charity that they donated to :). 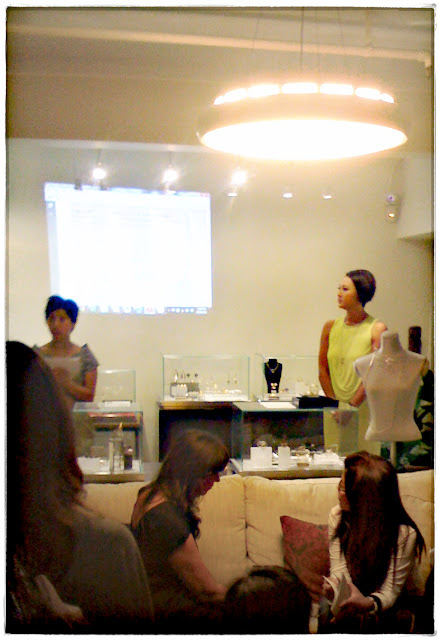 The AME Gallery will continue to host jewelry showcase charity events in the near future, be sure to check it out! and now mark shand is dead. hugging all those hunging trunks, really can choke you up.